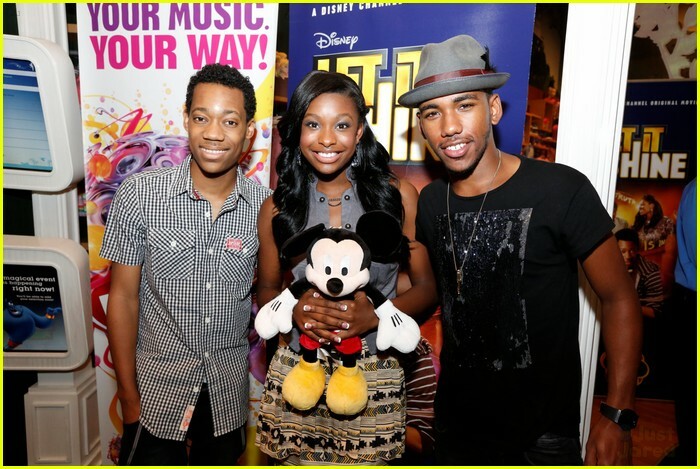 Cyrus,Roxie and Bling. . Wallpaper and background images in the Let It Shine club tagged: let it shine coco jones tyler james williams brandon mychal smith. This Let It Shine photo might contain signo, cartel, texto, pizarra, and letrero.